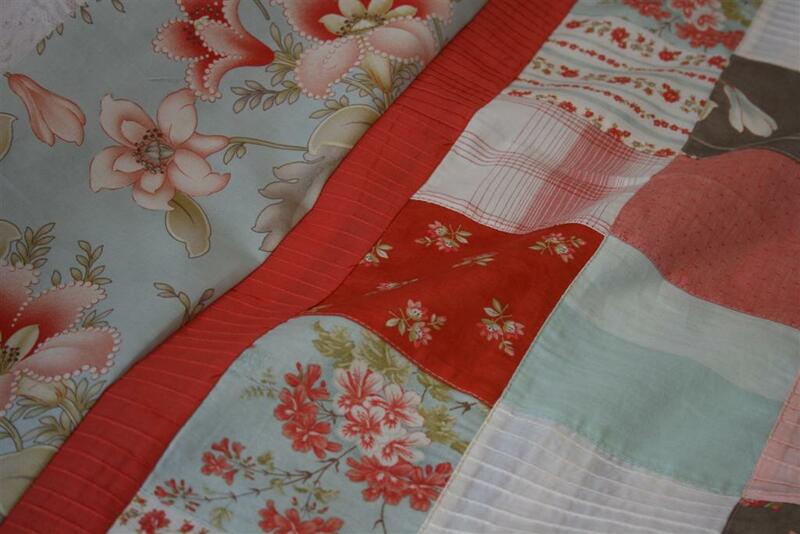 Last week I had the pleasure of teaching my sister how to put borders on a quilt top. 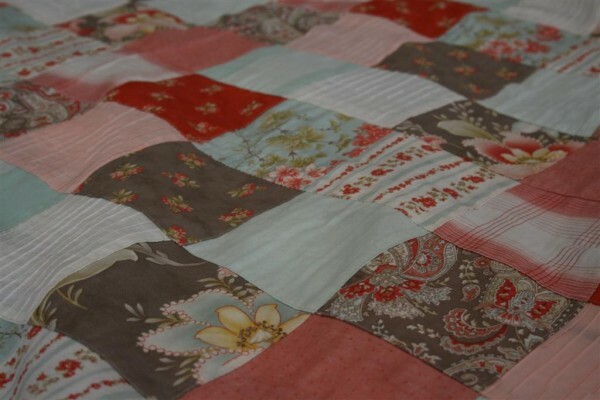 For the center of the quilt, she used a 1.5 yard piece of the already pieced patchwork squares from the Martinique collection. My Mom bought her the fabric as a birthday gift. She chose a pintuck fabric for the stop border, and the most gorgeous aqua print I’ve ever seen for the outer border. Because we used the already pieced fabric for the center of the quilt, this project was completed very quickly. Here is my happy sister displaying her work. This fabric is so beautiful. I’ve been tempted to buy some on multiple occasions, but have resisted. I’m hoping that helping with this quilt will be enough to satisfy. Can you believe how pretty it is? I love it. 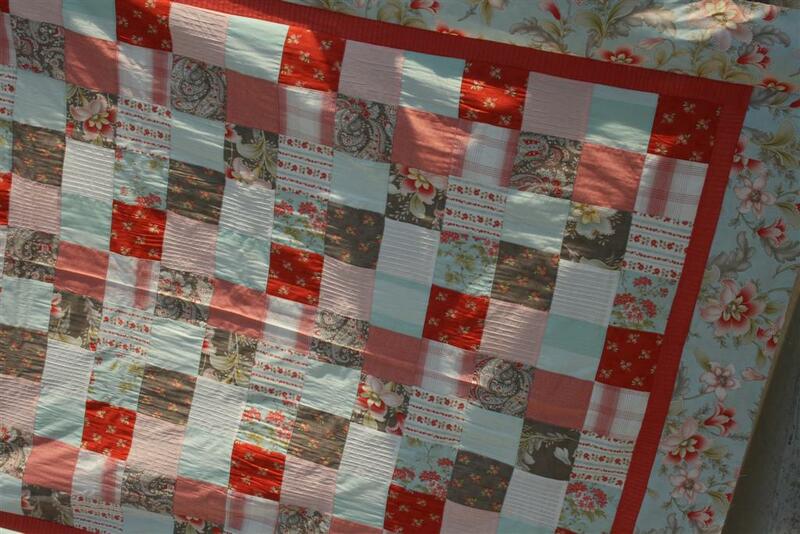 In addition to the beauty of the fabric, it’s exciting that my sister enjoys quilting enough to keep trying it. I know she’s got another plan in the works for an Amy Butler quilt. My sister in Colorado also loves quilting fabric. 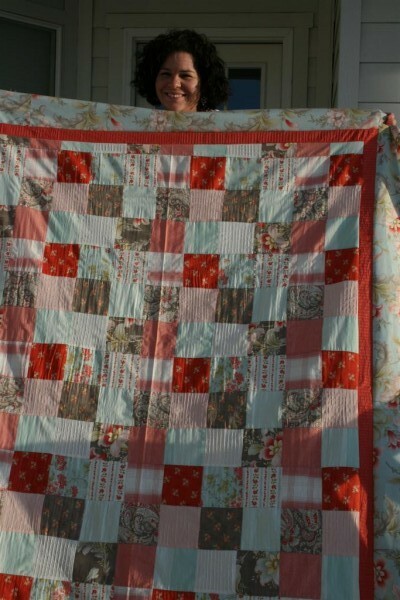 It would be so cool to make a quilt with her as well. I’d love to make one with my Mom, too. We just might end up with a family of girls who love this hobby… I hope! 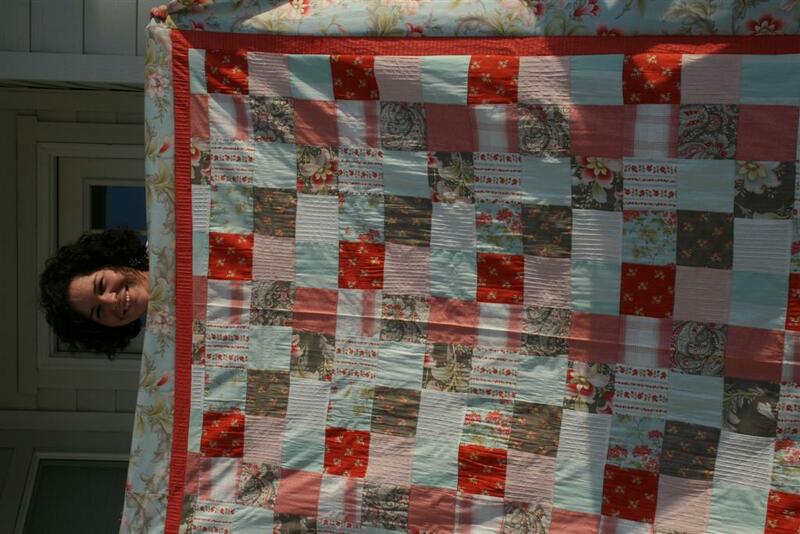 Now her quilt is off to the quilters and then she gets to learn how to bind it. You’ve gotta love quick and simple projects. And sisters. And Moms. I really love those, too. I just bought those same fabric squares to make my first quilt with. 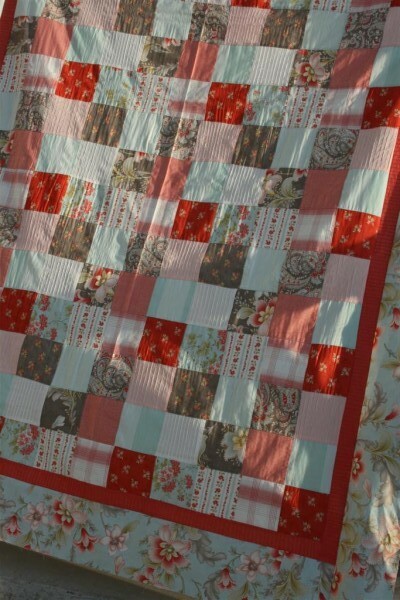 I fell in love with the different fabrics and decided to begin the adventures of quilting. Thanks for sharing…it’s fun to see how I might finish it now with the borders. Love it!